green tea: Things to love about Australia: Cadbury Variety! 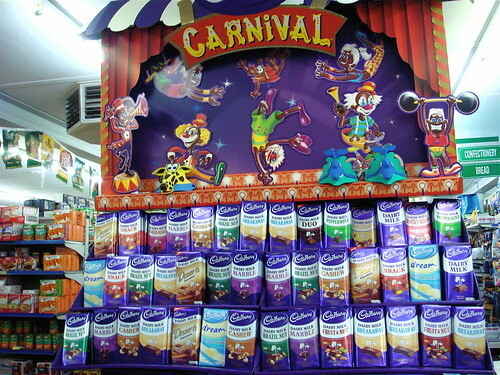 Things to love about Australia: Cadbury Variety! 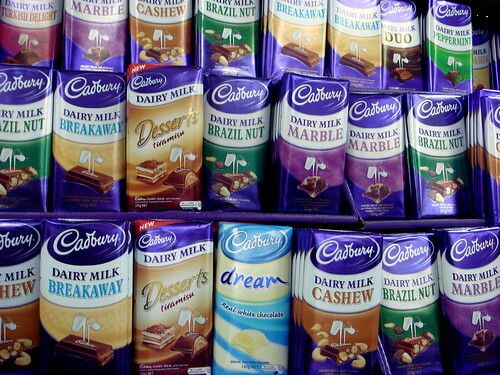 Here in Canada, we have a Cadbury choice of plain Dairy Milk, Fruit & Nut or Caramilk. I have one last block of Cadbury Macadamia stashed in my kitchen cupboard. I'm saving it to help me through my next personal crisis. Emergency rations. I know Cadbury isn't the world's finest chocolate - not for the discerning desserter, no. But, I like it. Super sweeeet!